← Coldplay in India Cultural Appropriation ? 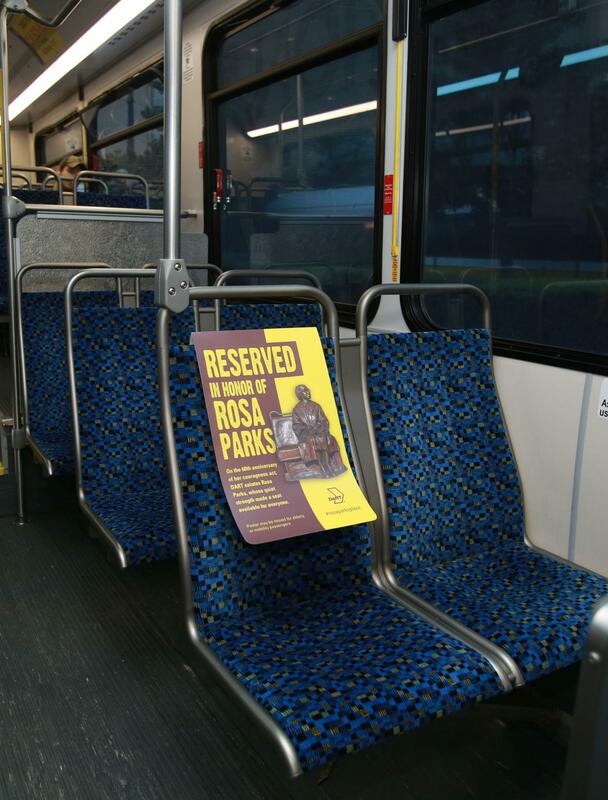 Today, Dallas Area Rapid Transit is honoring Rosa Parks by reserving the front seat of more than 500 DART buses. Rosa Parks is most well-known for her act of defiance on a Montgomery, Alabama bus on December 1, 1955 that changed the course of history. On that date, Ms. Parks refused to give up her bus seat to a white passenger. She was arrested and fined. Four days later, in response to Ms. Parks’ arrest, a year-long bus boycott began. It ended when the Supreme Court ruled that segregation on public transportation was illegal. Yes, this is just a symbol but it also represents how things have changed in the “Old South.” Richmond was the capital of the confederacy . Even today, you can visit the Museum and White House of the Confederacy. Virginia and its capital Richmond have come a long way from the days when the school system was closed during the 1950s and 60s rather than be integrated. This entry was posted in Uncategorized, USA and tagged Black History Month, Capital of the Confederacy, Dallas Texas, Richmond Virginia, Rosa Parks, seat reserved in the front for Rosa Park. Bookmark the permalink. Good point, Norm. It is a very clear honoring symbol for a very brave lady. Seems that the mainstream media is more interested in stories that are divisive. Hey , thanks a lot!